The John B. Martin Gallery of Art features listings of both current and past exhibits around the country. Contact the Gallery if you would like to see the artist's work in your gallery. 2002, 2003, 2006, 2007, 2008, 2009, 2010, 2011, 2012 and 2014. 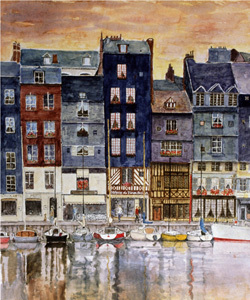 Received Best of Show Award in 2012 Member Show for "Paris: Le Pont Neuf #4"
Received award for "Linda's Piano"
Received award for "Some Roofs of Paris"
South La Brea Gallery, Inglewood, California, 2001.